After finding her calling, Paula Michele Boyle founded Life Coach Philly to help others find theirs. Each room in the home and workplace of Paula Michele Boyle is lavishly decorated in a different style than the one before it. Walk through the living room, and a seashell pink miniature chandelier dangles over two couches facing each other where she sometimes conducts sessions. Head across the room and into her office, and you’ll find a luminescent aquarium opposite shelves packed to the brim with books as peaceful music plays. 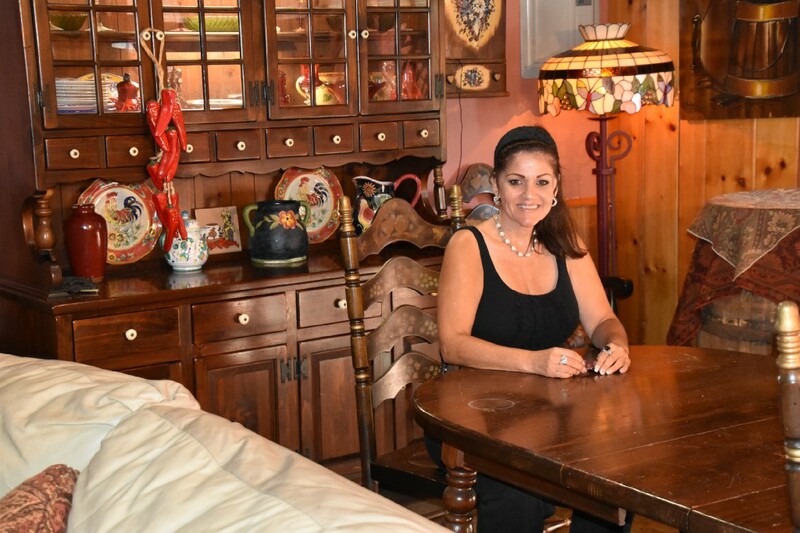 From these rooms, Boyle, a Rhawnhurst resident, dispenses advice for a variety of subjects as eclectic as her décor. She is the founder of Life Coach Philly, and is able to provide necessary support for people having trouble finding their direction with relationships, wellness or careers. Her secret is simple. Just believe in the person. Life Coach Philly has two main purposes: providing life advice to clients, and training prospective life coach students so they may also spread their knowledge. “People in leadership positions like managers or teachers or parents take the course to help out in that area of their lives,” said Boyle, a South Philadelphia native. Clients are given two options; to sign up for one one-hour session, or to sign up for 10 one-hour sessions that will take place over the span of two and a half months. Sessions can be done in Boyle’s home, though most choose to take sessions from the comfort of their own homes over the phone. Across the span of these sessions, Boyle helps clients answer these three questions about their goal, in order: why, how and what. The why is an important question to ask, because it helps reveal the necessity of the goal. Boyle’s why is an easy one. She used to work as a cleaner and office organizer, which required her to talk to her clients to figure out what they like. A customer asked her if she was a life coach, and that was when she realized she had inadvertently been acting as one. After doing research, she decided to make the career move. She founded Life Coach Philly in 2009. When they get to the how section, clients ask themselves what methods they have already tried to achieve their goal, and other methods they might take. For potential life coaches, Life Coach Philly may be the “how” they are looking for. Boyle and Dr. Kalind Bakshi serve as master coaches, who provide guidance for an individualized program that helps students become life coaches themselves. When she helped design the program students take, Boyle wanted to make sure she wasn’t hogging all the success to herself. “I started to see that people’s lives were transforming, and I decided I wanted to see everyone with these skills,” she said. The training process takes place over the course of one month with four classes. Students can take on modules at their own pace or work with one of the coaches one on one. At the end of each module, there is an assignment. What students do once they complete the course is up to them. They may choose to become a life coach themselves, or they may use the knowledge to enhance their current careers. “Most employers will look for people with the skills the course teaches,” Boyle said. Boyle said she has created a network of people who have taken the course, and continues to help them with their careers and future endeavors. The last module teaches students marketing skills if they decide to life coach themselves. Boyle recalls one client who came to her with an “empty nest situation.” She was a single mom whose kids had moved away and had lost her job of 30 years. She didn’t know what to do next. They worked together to find the client’s “what.” What does she want in life? Boyle recalled the amazement she felt as she watched the client completely rebuild her life in a couple of months. The client landed an “excellent” position (details withheld, of course), and Boyle was in awe of her transformation. That’s Boyle’s own “what.” The “what” part is figuring out if what the client thinks they want is in line with what they truly want. For Boyle, that’s the easiest part. She had trouble deliberating which example she wanted to talk about. Prospective students and clients can visit lifecoachphilly.com for more information and to sign up for classes or sessions.